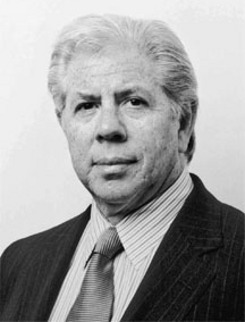 Carl Bernstein's parents were blacklisted in the "red scares" of the 1950s, and watched by the FBI during his childhood. Perhaps that is what made him suspicious of authority. He took typing in high school, and parlayed that skill into a job as copy boy at the Washington Star at age 16. The Star, though, would not consider hiring him as a reporter because he did not have a college degree. No such requirement existed at the Washington Post. In the early morning hours on Saturday, 17 June 1972, burglars broke into the Watergate office complex, where the Democratic National Committee had its headquarters. Five burglars were caught red-handed, and one of them was an ex-CIA agent who provided "security" for the Republicans. Other newspapers were not very interested in the story, but at the Post, it was assigned to Bob Woodward and Carl Bernstein. In a series of stories, their work eventually connected the burglars to a massive "slush fund", a crooked attorney general, and a president who resigned to avoid impeachment. Bernstein did most of the writing, being the better writer of the two. Woodward's strength was the tedious leg- and phone-work. Their book, All the President's Men, was a huge bestseller, made into a Hollywood movie starring Robert Redford as Woodward and Dustin Hoffman as Bernstein. Bernstein left the Post in 1977, and worked for ABC News, where he broke the story of America's secret backing of the Afghan Mujahadeen. He has also written for Time, Newsweek, The New Republic, Rolling Stone, The New York Times, Vanity Fair, and Der Speigel. In 1979, Bernstein had an affair with Baroness Jay of Paddington, then the leader of the British House of Lords, while both he and she were married. Both marriages collapsed, the media covered it relentlessly, and Bernstein's ex-wife -- screenwriter and director Nora Ephron -- wrote all about it in Heartburn. Jack Nicholson played the fictionalized Bernstein in the film. The real Bernstein now rails loudly against celebrity-driven journalism.